The Furniture Industry Research Association carries out a range of research and development projects on behalf of the industry, providing a voice to government and continually pushing the standards within the furniture industry in the UK and abroad. Below are some examples of recent projects. A lot is being talked about the circular economy and the Association has a long term commitment to investigating and reporting on drivers, barriers and solutions associated with this concept. 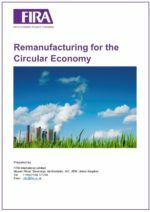 In broad terms a circular economy is restorative and regenerative by design and aims to keep products, components and materials at their highest utility and value at all times, as opposed to the more traditional economic model of using raw materials, making products and disposing of those products. The report presents the wide ranging aspects of a sustainability hotspot analysis by researching and contextualising the commercial, reputational and material source risks that exist within supply chains. It informs business leaders of practical methodologies that will mitigate these risks, which in turn enables data driven, sustainability decision making within organisations. A report summarising the findings of a project which compares the potential of remanufactured furniture versus brand new product, carried out in collaboration with Orangebox. The priority over the coming months will be to develop a reuse and remanufacturing standard and to attempt to collate data demonstrating the potential impact of decaBDE flame retardants on the potential for reuse and recycling of furniture. Bariatric issues are some of the fastest growing in the field of healthcare. These implications extend to furniture, specifically seating and beds, where companies, institutions and consumers are faced with the prospect of providing for an increasingly obese population. The solution isn’t simply one of increasing sizes and strengths of products as there are many ‘user needs’ that also need to be addressed. FIRA’s ergonomists are developing standards to help ensure that items sold within this genre are safe, durable and applicable. Further information is available by emailing info@fira.co.uk. Published annually, the Statistics Digest comprises almost 40 pages of facts, figures and commentary covering production and international trade for a wide range of product groups. It also assesses some of the key drivers behind furniture spend such as lending and house purchasing patterns. The Digest is free to members of the Association, and available for non-members to buy here. 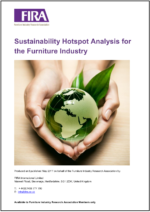 Furthermore the Standards and Technical Information section of the website includes all the latest papers and research from the Furniture Industry Research Association. This section is regularly updated with new content. Most research from the Association is only made available to members, if you are interested in joining the Furniture Industry Research Association then please email membership@fira.co.uk or call +44 (0)1438 777 700.